So, your car is making a funny sound. Not the kind of funny anyone enjoys, but the kind that sends your mind racing. What IS that noise? Is it coming from the engine? Does it signify a real problem? Am I going to be stranded on the side of the road? And, most importantly, how much is it going to cost to make it go away? All important questions, for sure. Identifying the noise is the first step in diagnosing your car’s issue. It could be a small matter like the knock caused from using the wrong type of gasoline. Then again, it could be a little squeak that ultimately means a damaged suspension system. 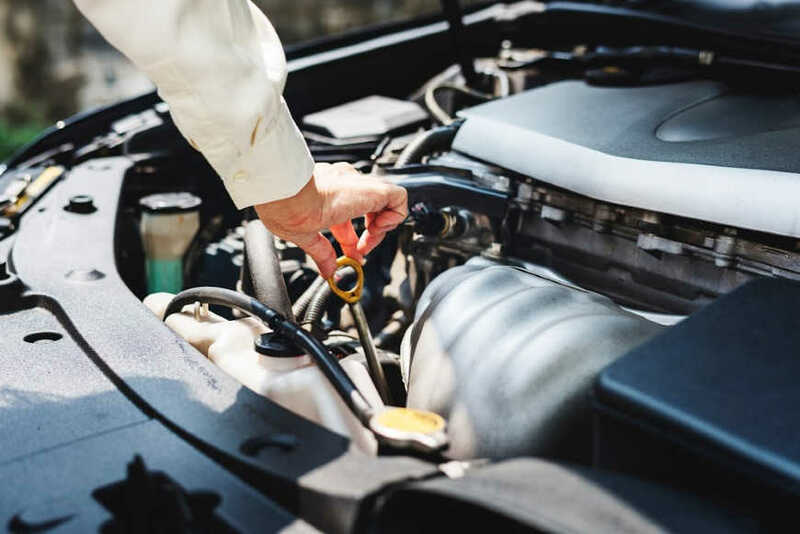 Of course, your mechanic can tell for certain what the problem is, but understanding the noise your car is making may help you know if it’s an expensive emergency or just an annoyance until you have the time to deal with it. A backfire, or loud pop can happen when the combustion is not getting hot enough to burn the fuel. This could be the result of a bad spark plug, coil, or plug wire. Backfiring can also be combustion in the muffler or exhaust system, delayed timing, or a cracked distributor cap. Most backfires will be accompanied by other symptoms, like the Check Engine Light. If your vehicle chirps when you accelerate, this usually signifies a loose or slipping belt. It could also mean a misaligned drive pulley for something like the water pump. A sudden clanging, like a piece of metal in the clothes dryer, could mean a loose lug nut inside a hub cap due to a wheel that wasn’t fully tightened the last time it was removed. This noise signifies a safety issue – get to your mechanic as soon as possible. There are two places you can hear a clunk. If the noise happens while braking, you could have a damaged or improperly mounted brake caliper. If the clunking is a rhythmic banging under the hood, this could be an indication of a serious problem with valves, rods, or pistons. This should be addressed immediately. A grinding noise may signify your brake pads are worn out and metal is rubbing against metal. This critical issue could be affecting the efficiency of your braking system. However, if the sound you hear is more of a squealing than a grinding, you may simply need new brake pads. If you are hearing either of these sounds, make an appointment with your mechanic to get your brakes checked out. When you first shut off your engine, if you hear a hiss or a sizzle, it likely means something is leaking. Could be coolant or oil dripping onto something like the exhaust manifold, or it could be a leaky vacuum line. If it also smells hot, your engine may be overheating. This is not something to ignore. If you have noticed a low-pitch hum or whirr underneath your car, this sound could be caused by numerous things: a failing transmission, damaged wheel bearings, worn out universal joints, or the differential may need lubrication. The problem is, the sounds under a vehicle tend to reverberate and echo to the point that it’s impossible for you to determine the source. If your car is making a popping noise, like the sound of finger-snapping when you turn a corner, it might be time to replace the CV (constant velocity) joints on your front axle. These noises usually mean that your bearings aren’t working properly. These little metal balls help parts rotate smoother. If you notice the singing/whining when you turn, it’s probably the front wheel bearings. But if you notice a gradual, steady howl that continues to grow louder, this signifies rear-wheel bearings. If you hear a tap or click in your engine, this may be the easiest noise to remedy of everything on the list. Check your oil level. Low oil can cause a loss of oil pressure in the engine’s system, resulting in the tapping noise. Preventive maintenance is your best insurance against all the little bumps, clangs, squeaks and pops. But learning to pay attention to your automotive sounds, and dealing with them as soon as possible, will help keep costs down and keep your car running smoothly for a long time.